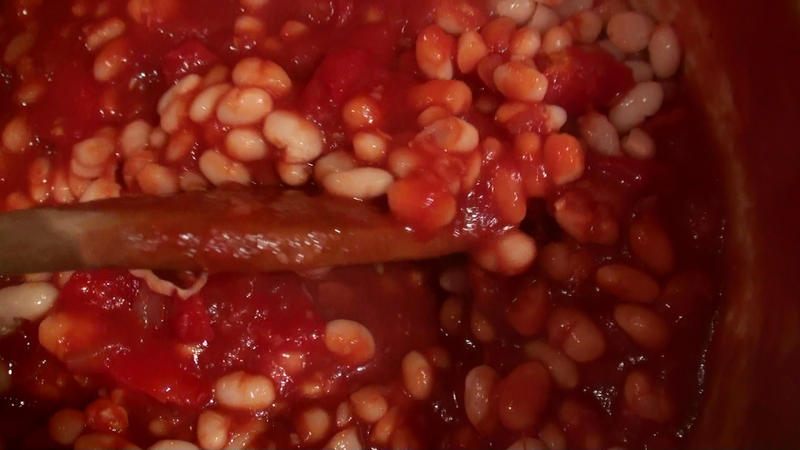 I love baked beans, but I avoid the tinned variety like the plague. This is because the lining of canned foods contain bisphenol-A, (BPA) a synthetic estrogen that has been linked to reproductive problems, heart disease, diabetes and obesity. It’s especially bad for fetuses, infants, and young children. 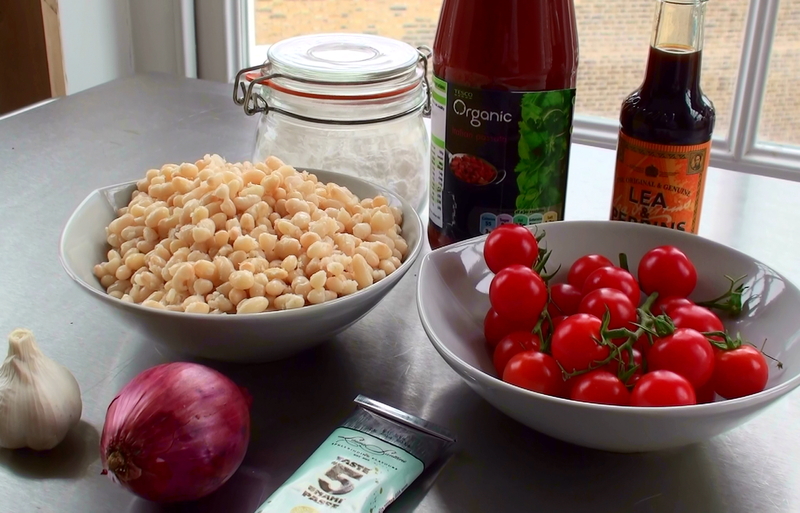 The worst is the tinned tomatoes, because the acidity in tomatoes makes the BPA leak into the foods. Some brands have said they are about to drop the BPA lining, but unless it says on the tin that it’s BPA free I’m not buying. And what will they replace it with, another gender-bender plastic? Another reason why I don’t like tinned baked beans is because the sugar and salt content, I use Stevia instead of sugar and a pinch of mineral rich himalayan crystal salt, when I make my own. I always use dry beans and pulses. Sure, it’s extremely convenient to just open a pack of already cooked beans, but once you get the hang of soaking-cooking-storing, there’s no turning back really. Belive you me, I’m all for spending as little time as possible faffing about in the kitchen! Soak the dried Haricot beans overnight. Boil them until they are soft. The time this takes depends how fresh they are. I boil them hard for 10 minutes and them let itsimmer. 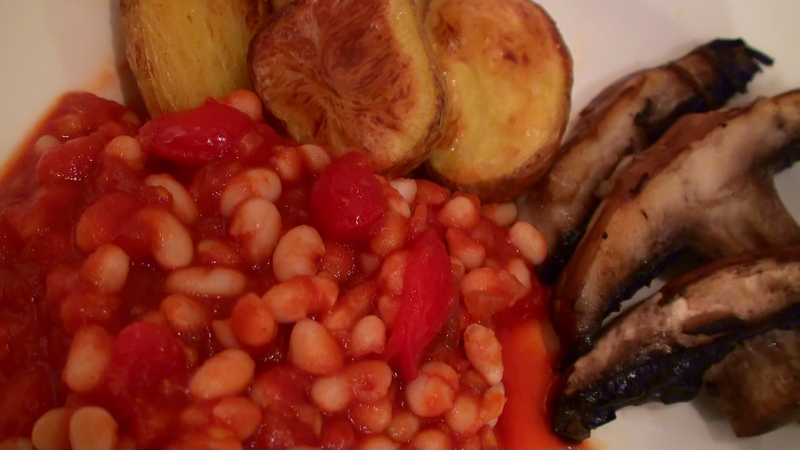 Last time I cooked Haricot Beans it took 45 minutes. I make a big batch and keep the beans refrigerated for up to a week. * 200-250ml Passata. Needless to say I always get my processed tomatoes from a glass bottle. * A handful of small, sweet tomatoes, this is not really necessary, but I like a fresh tomato flavour. * I small dollop of Taste no 5. This is not at all necessary, but gives a little extra depth. * Oil to fry with, preferably raw coconut oil. 1. heat the oil and fry the chopped red onion. 2. 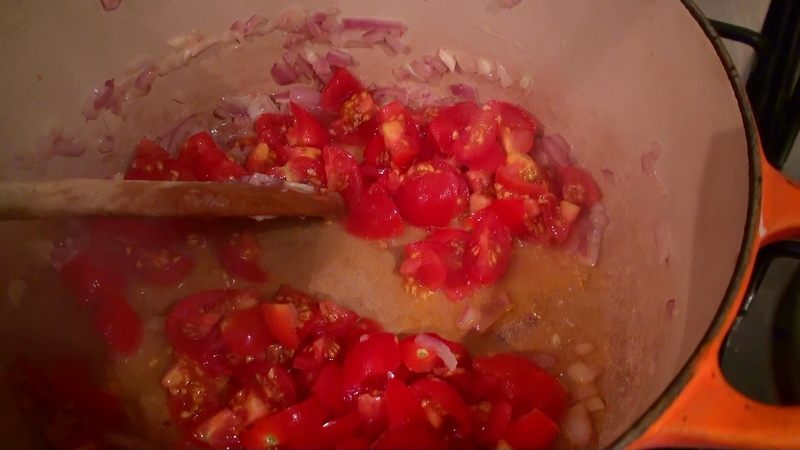 Add the chopped garlic and the tomatoes. 3. Pour in the passata, and add Worcestershire sauce, salt pepper, taste No5. Let it simmer for 5-10 minutes. 4. Add the haricot beans and let it simmer for another couple of minutes until piping hot. Serve. You have WAY to much spare time 🙂 I buy baked beans. In plastic tubs, not tins (not sure if it’s better though). I get the reduced salt & sugar version and heat them on the stove not in the microwave.